In a country battered by religious dogma for most of its existence, where riots on religious grounds have been commonplace, and where religion is as much a tool of suppression as of political advantage, it is important to highlight Atheism as a credible philosophy. 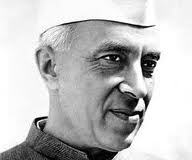 Where people take it for granted that belief in God is a virtue and that disbelief implies immorality, lack of character and integrity and attracts only scorn, ridicule and social boycotting from the masses, it is important to point out examples of popular people who were atheists and still known for their high moral and ethical standards as well as their unquestionable patriotic credentials (as patriotism can invariably be attached with belief in God by politically motivated forces). 2. Bhagat Singh, one of the most popular figure in the Indian independence movement, whose popularity matched that of Mahatma Gandhi. 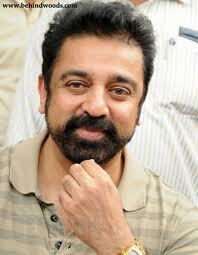 He wrote a book, Why I Am An Atheist, when he was in jail. 3. 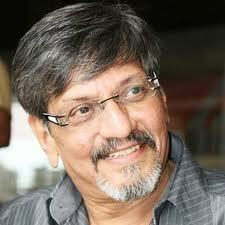 Amol Palekar, famous Bollywood and Marathi film actor and fimmaker. Regards himself as an agnostic. 5. 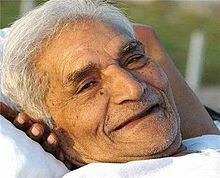 Baba Amte, A notable social activist. 16. Beechi, the Kannada humourist-philosopher, whose ‘positive atheism’ is similar to that of Douglas Adams. 17. Gopinath Muthukad, A notable magician. 18. P. L. Deshpande, A notable Marathi writer and artist.